Set pan on a high heat to warm up. Wash, dry, and place the rucola on the side of your plate. Crumble or slice walnuts into small pieces, and toast for a minute or two on the dry and hot pan. Sprinkle the rucola with toasted walnuts, and sprinkle the teaspoon of olive oil over. Ditch red chili pepper into very small (best 1x2mm) bits, and sprinkle 2/3 of them onto the rucola. Heat 1 teaspoon on oil and pour eggs onto the pan. When they start setting up, keep scrambling until almost entirely set. Add remaining 1/3 of the red chili pepper, and sprinkle a pinch of salt, and a pinch of dried garlic. 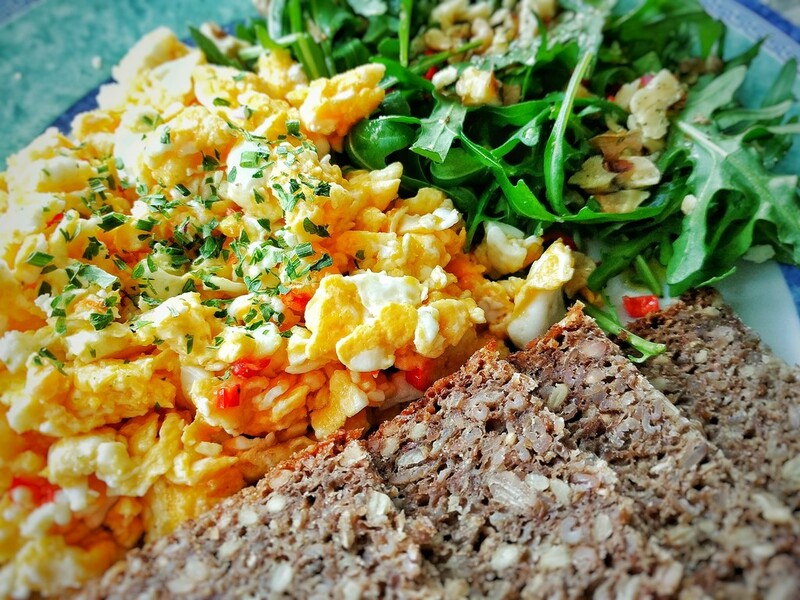 Before serving, kill the heat, and finish frying the scrambled eggs with a teaspoon of butter—let it melt and mix-through the eggs. 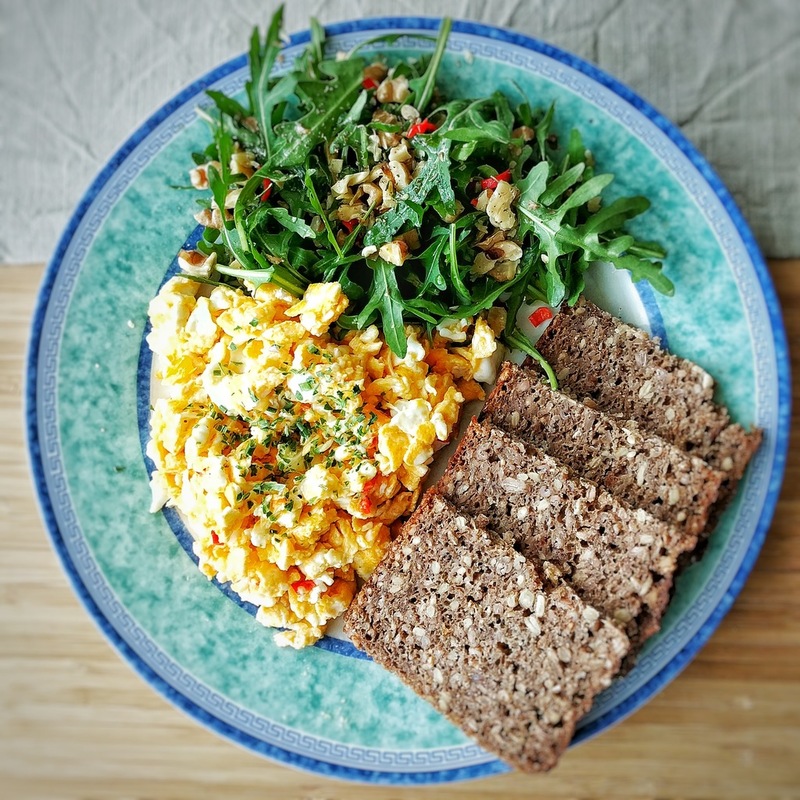 Place eggs on aside the rucola, sprinkle with some dried herbs, and serve as soon as possible with some sliced bread.